Sven Riethmueller is a Visiting Clinical Associate Professor of Law at Yale Law School and the inaugural Director of the Entrepreneurship & Innovation Clinic at Yale Law School. 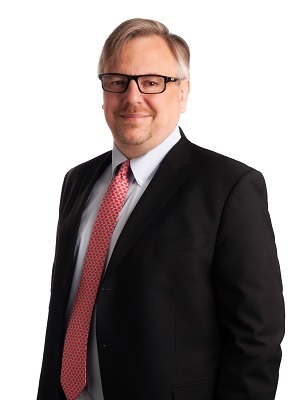 His former legal practice focused on U.S. and European domestic and cross-border technology and business transactions for clients in the life sciences, medical devices, digital health, software and IT, technology and other innovative industries. Sven Riethmueller is a Visiting Clinical Associate Professor of Law at Yale Law School and the inaugural Director of the Entrepreneurship & Innovation Clinic at Yale Law School. Prior to founding the Entrepreneurship & Innovation Clinic, he was in private practice, including as a law firm partner, and practiced in-house, including as the general counsel of a publicly traded life sciences company. Until the end of June 2018, Professor Riethmueller was a partner in the Corporate and Securities Practice Group and Health Sciences Department of Pepper Hamilton LLP, resident in its Boston office. He was previously a partner at Foley & Lardner LLP in its Boston office. Professor Riethmueller’s private practice focused on U.S. and European domestic and cross-border technology and business transactions for clients in the life sciences, technology, and other innovative industries. He counseled clients in U.S. and cross-border strategic intellectual property and technology licenses, acquisitions and divestitures, complex partnering, joint venture and collaboration agreements, strategic investments and financings, corporate governance matters, mergers and acquisitions, and other business transactions. A key aspect of his private practice was the commercialization of intellectual property. Professor Riethmueller also served as outside general counsel to U.S. and European companies and represented them in various commercial matters as well as in business and intellectual property disputes and their resolution. Professor Riethmueller also practiced law as an associate at the law firms Sullivan & Cromwell and Cleary, Gottlieb, Steen & Hamilton in New York, London, and Frankfurt in the areas of cross-border corporate finance and mergers and acquisitions, and advised on some of the largest European securities offerings. In addition, he practiced as a commercial litigator at a leading law firm in the southwestern United States. Professor Riethmueller also served as vice president and general counsel to LION Bioscience, a publicly-traded global solutions provider for the life sciences industry, and was senior vice president and general counsel with Molecular Health, a private equity-backed precision medicine company. Professor Riethmueller received his A.B. from Dartmouth College and his J.D. from Columbia University School of Law.